Celebrate Chinese New Year with decadent banquets and creative cocktails in 2019. Chinese New Year is just around the corner, which means countries across the globe are busy prepping for one of the biggest celebrations of the calendar year with decorations, delicious food and dynamic events. 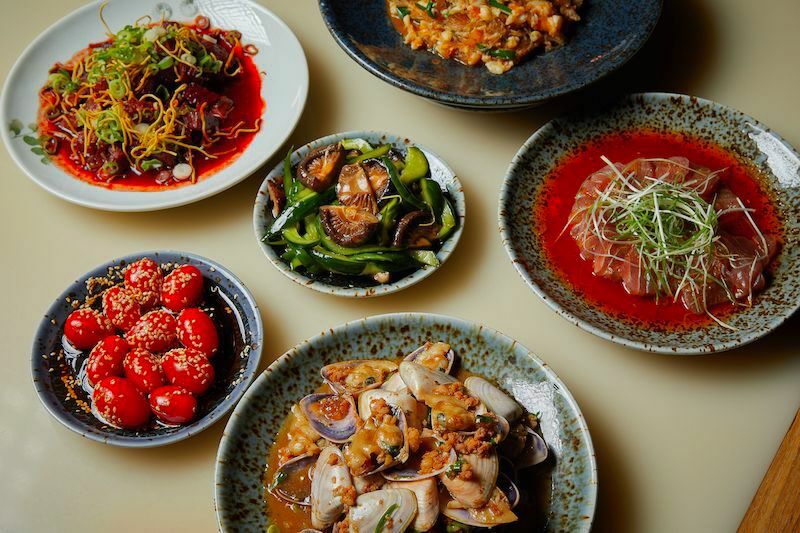 From decadent banquets to flowing dumplings, celebratory cocktails and devilish burgers, here’s your Sydney guide to celebrating Chinese New Year. There’s no party quite like a Chin Chin party. 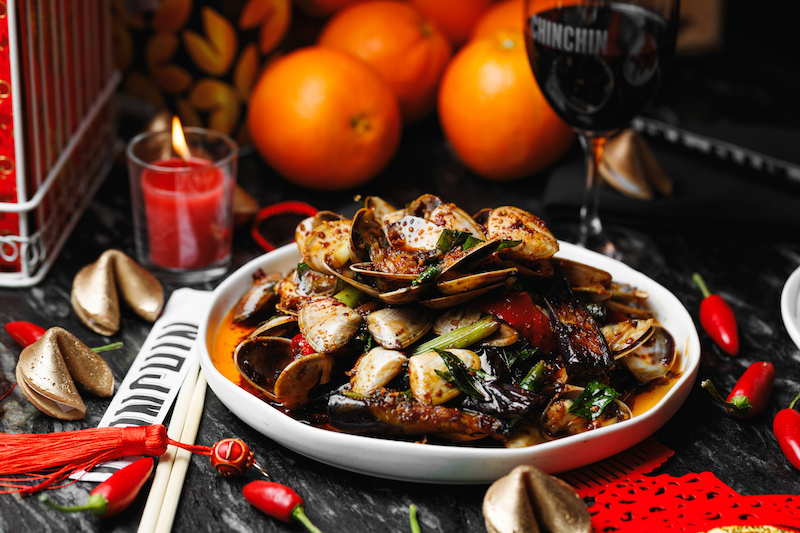 Celebrate the Lunar New Year with the ultimate Chinese New Year Banquet at Chii Town, Chin Chin Sydney’s downstairs event space. For $160pp, be entertained with Chinese Lion Dancing, sip on free-flowing beer, wine and Prosecco and feast on a specially curated Chinese New Year Banquet, designed by Executive Head Chef Graeme Hunt. Price: $160pp. To secure your tickets, click here. With Chinese New Year just around the corner, Spice Temple want you to celebrate with an exclusive nine-course banquet. Available from Friday 1st to Sunday 10th February, guests will be treated to a menu that promotes health, wealth and happiness. The menu costs $99 per person, with matching wines an additional $55 per person. Price: $99pp, with matching wines an additional $55pp. To book, click here. Head to either Hacienda or Q Dining this Lunar New Year and tuck into a menu inspired by the flavours of modern China. The Chinese New Year menu will be available at both Hacienda and Q Dining, and includes the likes of Siu Mai ($13), BBQ pork buns ($15), BBQ vegetable buns ($15), Prawn Har Gow ($15) and more. The speciality menu also features Hacienda’s Chilli tea cocktail, combining vodka, mango tea and chilli. Round out the evening with a post feast visit to Circular Quay, where you’ll find events like the Lunar Lanterns and live performances by the Sydney Symphony. To celebrate the Year of the Pig, Steam Mill Lane is teaming up with the Lantern Festival in Tumbalong Park, bringing the laneway to life with its own giant and illuminated zodiac lanterns. Running from 2nd – 23rd February, the festivities also include an all-you-can-eat fusion feast festival, special Year of the Pig limited edition offers, live dragon dance performances, mahong competitions and fortune cookie giveaways. For more information check out the festival event page here. 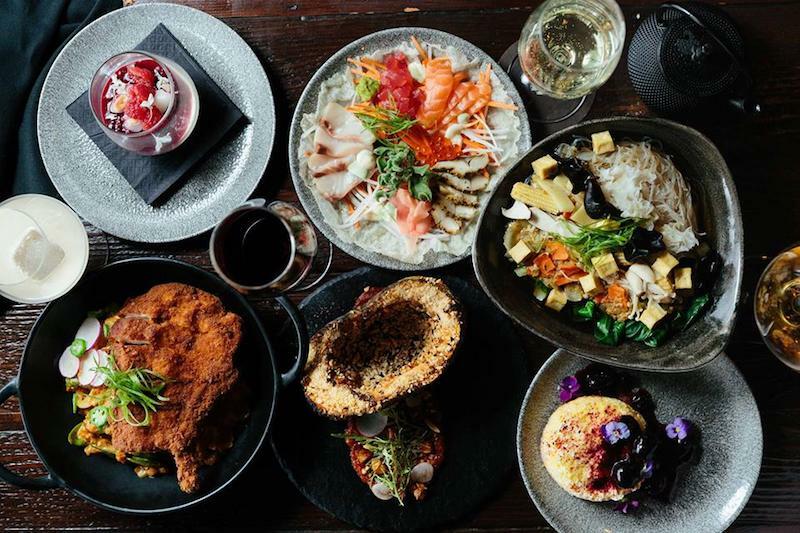 Sydney’s striking waterside venue Junk Lounge on Level 2 of Cruise Bar is hosting its own exclusive Lunar New Year celebration. Running from 1st to 10th February, indulge in a carefully curated Asian-inspired 3 course menu with matching wines. Tickets are $69pp, with bookings available every evening from 1st-10th February. Guests can also experience the launch of the year of the pig with entertainment and lion dances from 7pm on the launch night. Price: $69pp. To secure your tickets, click here. Head to Lotus The Galeries this Chinese New Year to enjoy a week-long banquet. Available from 4th-10th February, Lotus The Galeries will be hosting three modern-Chinese banquet menus. Diners can choose between the $68pp ‘Good Luck’ banquet, the $88pp ‘Good Fortune’ banquet or the $128pp ‘Long Life’ banquet. 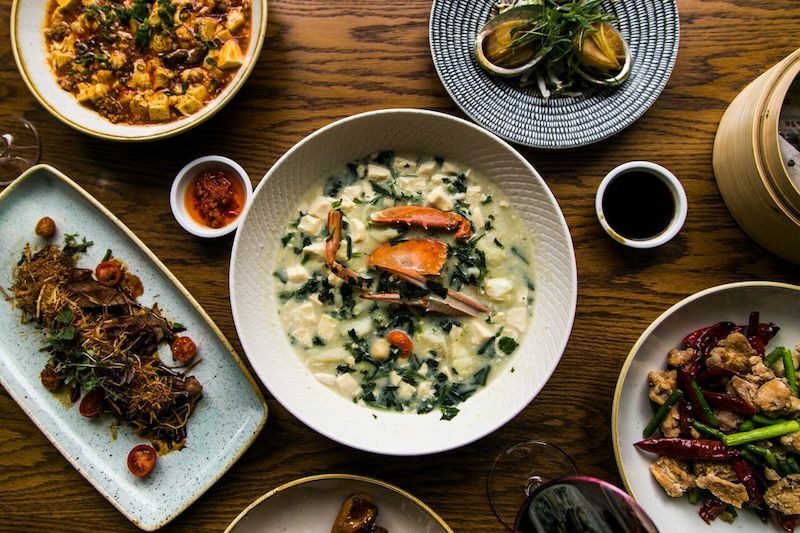 Each menu features Lotus classics such as their signature dumplings, slow cooked short ribs and Sichuan eggplant along with live seafood for pre-order. With the launch of their new venue in the Chinese Garden of Friendship in time for Chinese New Year, The Gardens by Lotus has prepared two unique banquets with modern takes on CNY dining staples. 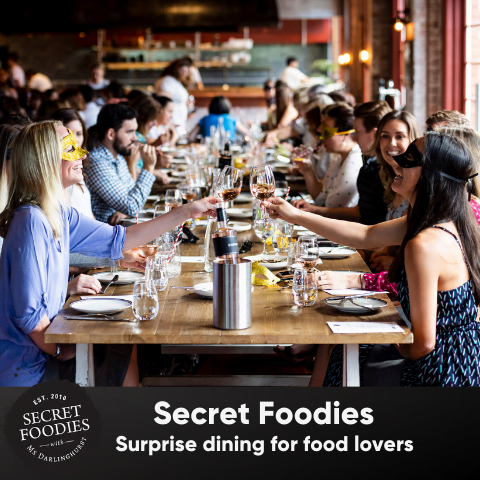 Diners here can choose from their $128pp or $88pp banquet with dishes like ‘cheese roast’ and Sichuan style lion meatball while they zen out in in the gardens. 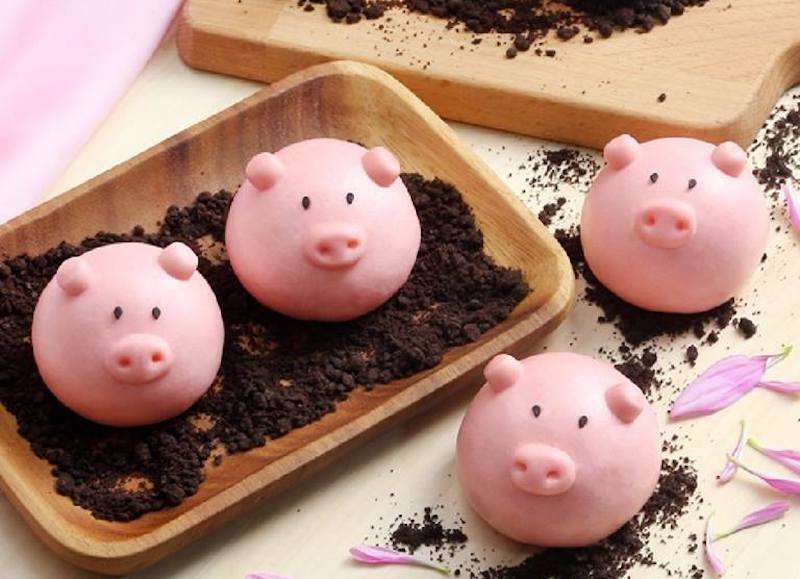 Din Tai Fung will celebrate the Lunar New Year with limited edition piggy buns inspired by the Year of the Pig. Available across all 10 restaurants and café courts, the buns will come steamed to order. As for the filling, expect, decadent molten chocolate, served on an Oreo flavoured soil. These cute pig buns are priced at $8.80 for two. Burger Project is bringing Chinese New Year to life with its latest limited-edition burger, the Peking Chicken. 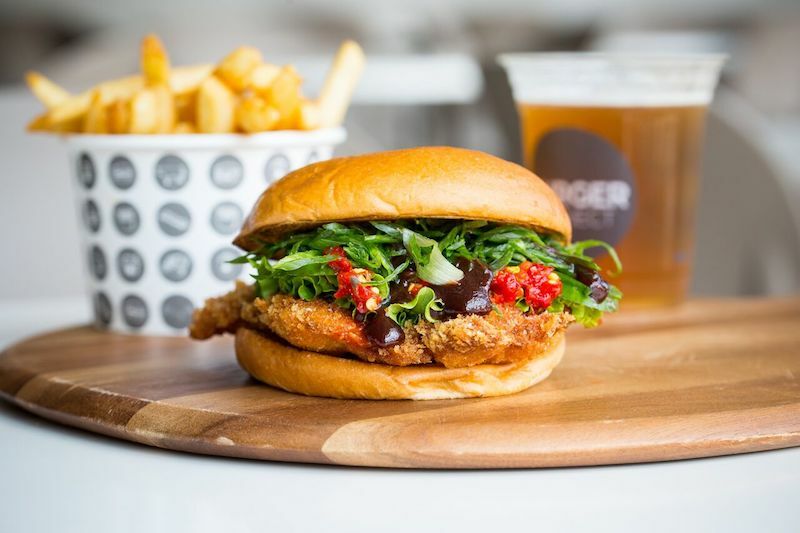 Available from 4th February – 31st March, the Peking Chicken burger ($14.90) comes with free-range crumbed chicken, salted chilli and a generous layer of house-made hoisin sauce, nestled in a soft milk bun, alongside fresh slices of cucumber. You can also get your hands on a bottle of Tsingtao beer plus a serving of Sichuan pepper and salt chips for $23.50. 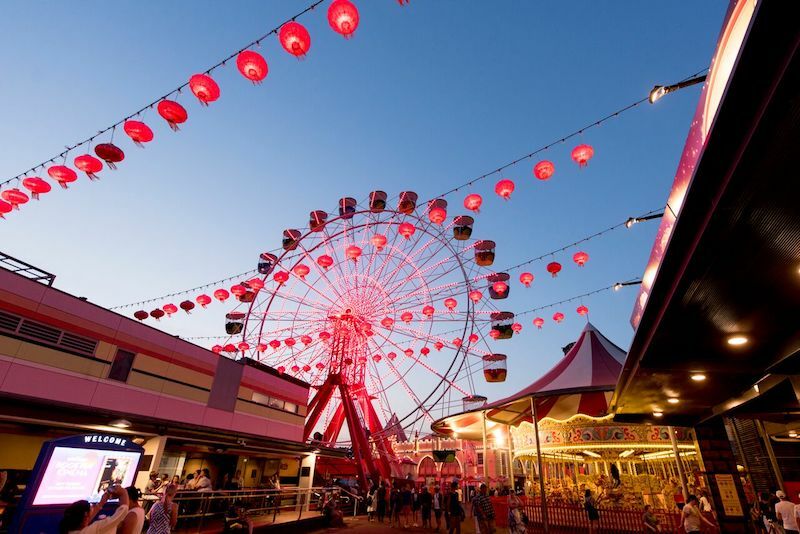 This Chinese New Year, Sydney’s iconic Luna Park gets set to transform into a dazzling display of food, lights and music to ring in the Year of the Pig. 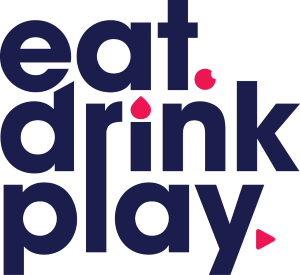 Head along to experience a life-sized Pass the Pig gaming zone, personalised calligraphy station, wishing tree and Asian-inspired eats. With red lanterns lining the promenade, take the whole family and witness a special lion dance performance. For more information, click here.